These absurdities make an amusing counterpoint to the speed-controlling parachutes we discussed a month ago. Ahoy, mateys and set the main sail! It’s hard to imagine using something like this in any setting where other human beings are present without getting yourself punched in the face. What could be more fun than standing on your skateboard on the grass, holding a big sheet of plastic? $6 from Alibaba, or $49.99 from sky mall, your preference. This entry was posted in Uncategorized and tagged Skymall on November 28, 2014 by stern. 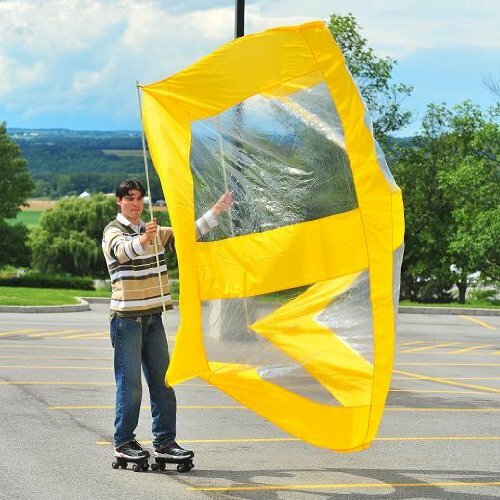 If you can’t decide if you want to fly a kite or ride your skateboard, now you don’t have to! 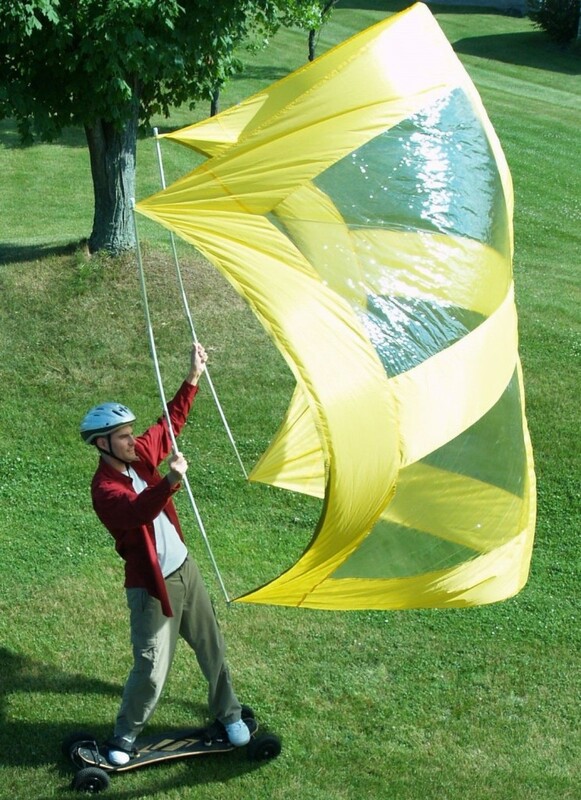 You can both lose your kite and your teeth on the same day. Boy will your parents be proud! Gary, be fair. There’s no way this shower curtain would get anybody going fast enough to lose teeth. Stern, you underestimate the stupidity of people trying out their new toys in a huge storm. I can see the headlines now, “Local youth crashes into tree while flying a kite in hurricane on roller skates”. Avid consumers take note, you can get a similar device for your bicycle.